This is one of my only freehand drawings to carry an exact date. I've always liked showing scenes from weird angles, and here you not only get the sense that the view is warped but the building and doorways themselves are as well. 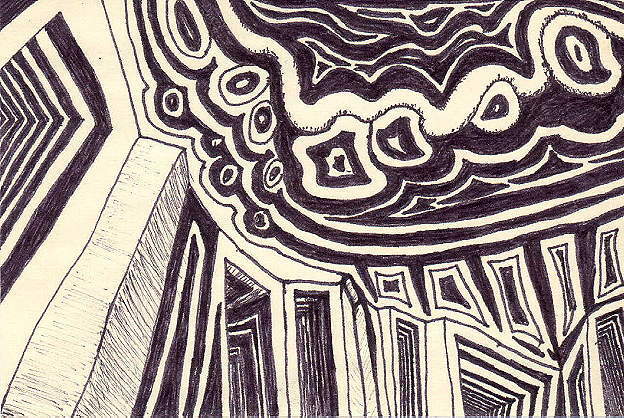 The influence of German expressionist set design was very strong and obvious in all my early work. Here it's combined with a touch of "Wheels of Fire" psychedelia- rounded tubes and shapes writhing on the ceiling.